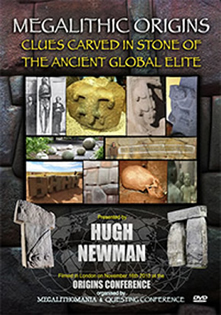 Hugh Newman, co-founder of the Megalithomania conferences, author of Earth Grids (2008), and regular guest on Ancient Aliens (History Channel), gives an exclusive presentation comparing the carved art and cult structures of Göbekli Tepe in southeast Turkey with the stone art and megalithic complexes of Peru, Bolivia, Colombia, Mexico, Costa Rica, Indonesia, and Easter Island (Rapanui). Although separated in time by many millennia, the conclusion that there is some kind of universal origin to all these cultures, linked perhaps by a universal geodetic grid and other long distance alignments, seems inescapable. Serpent symbolism is rife at these sites and Hugh also reveals the connections between these various prehistoric places and legends regarding the discovery of giant skeletons and elongated skulls, suggesting the existence of two or more lost races of human kind. It is a quest that has taken Hugh to dozens of countries over the past ten years, with many of his discoveries being inspired by strange experiences and bizarre synchronicities. 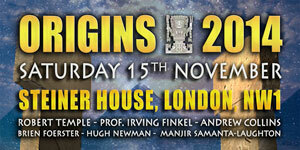 Filmed in London at the Origins Conference 2013. ALL 2013 DVDs/Downloads NOW AVAILABLE in HD! Watch video previews and buy MP4s & MP3s online here.